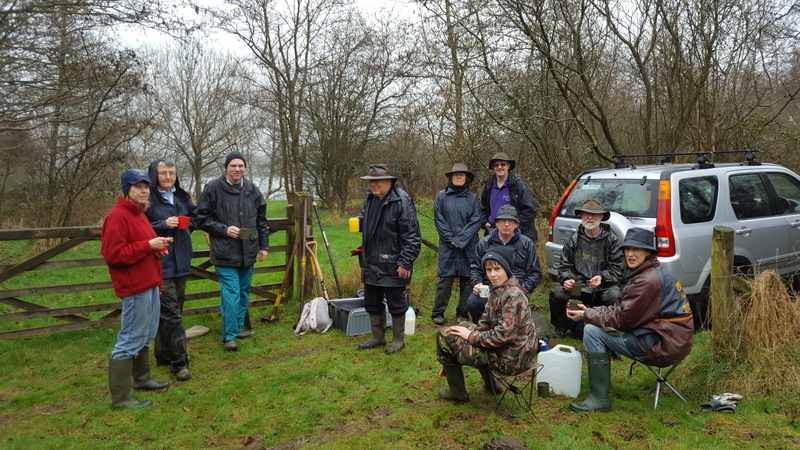 On a rainy Sunday 12th March we had the last work party of the winter led by Volunteer Leader Jon. In spite of the rain we had a good turnout of 11 and split into two groups. The first group were cutting back field maple and hazel to open up the light into the ochreous stream that runs through the lakes and through Long Island. This stream has rust coloured mud at the bottom due to the algae that thrives on the acidic water coming from Finchampstead Ridges. By coffee break it was still raining but hot drinks and biscuits cheered everyone up and with the promise of a bonfire everyone got back to work. Meanwhile the second group had been building homes for stag beetles – otherwise known as stumperies. 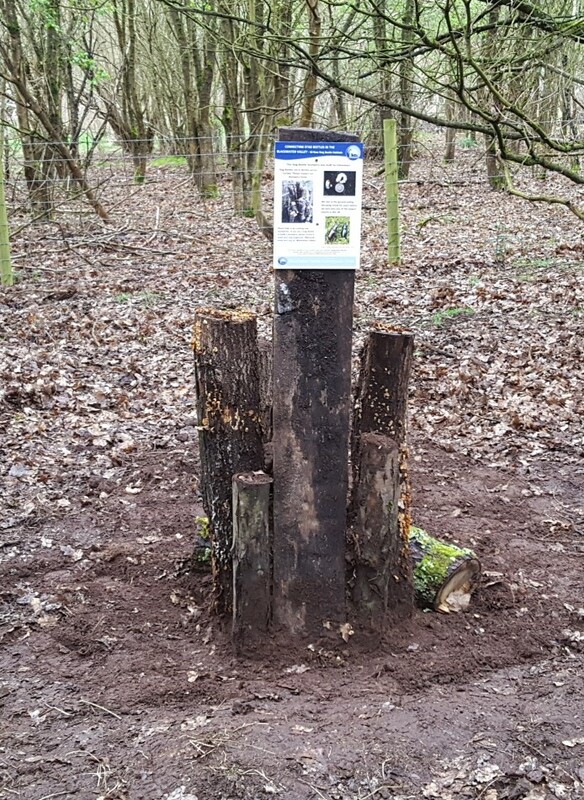 This is part of a project to build 50 stumperies in the Blackwater Valley to reverse the declining numbers of stag beetles. Rotting logs are buried about two feet into the ground providing the food and environment for the stag beetle larvae, while the part out of the ground encourages other insects and fungus. Three stumperies were built during the day, two near the river where they can be seen from the path and one in the meadow near the ochreous stream. 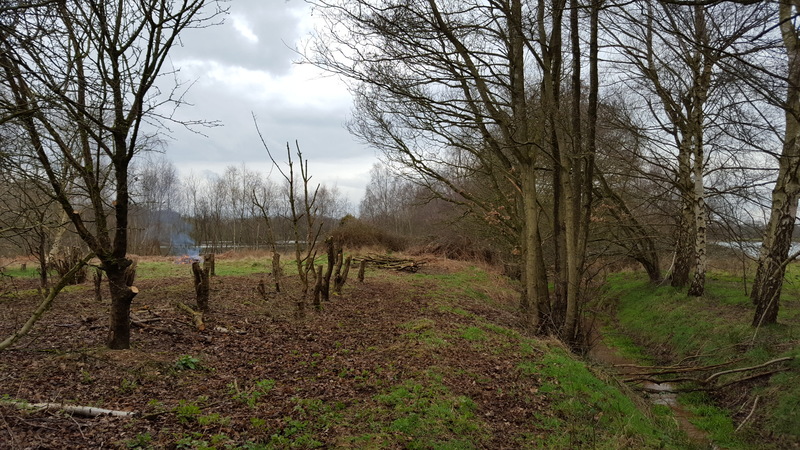 The first group pollarded the larger trees and coppiced the dense hazel near the existing meadow which opened up the stream to the sunlight. 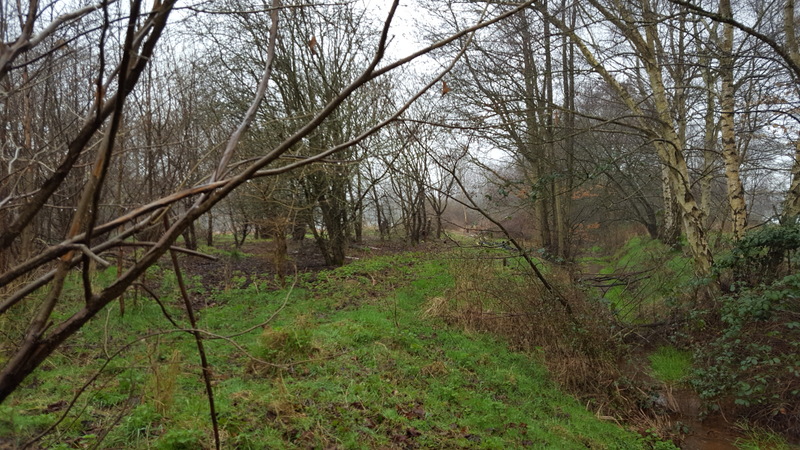 With a good bonfire going in spite of the rain, all the brash was cleared and burnt leaving a nice clear site – including a stumpery. A big thank you to all our volunteers for all the hard work you have put in over the winter. We hope you enjoyed yourselves and will return when we restart our Sunday work parties in September after the nesting season is over. 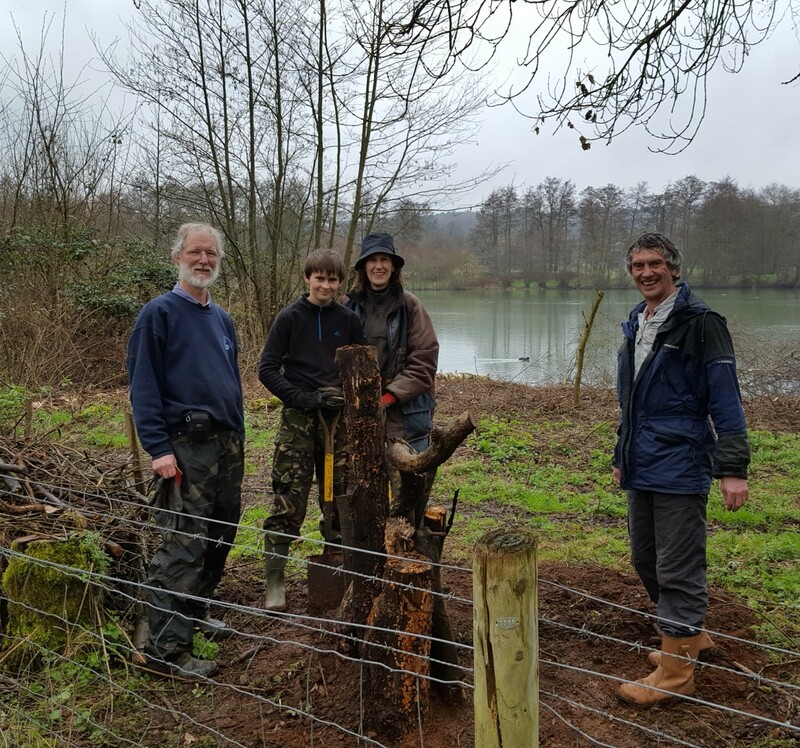 This entry was posted in Conservation, Moor Green Lakes, Volunteers and tagged Moor Green Lakes, Stumpery, Volunteers. Bookmark the permalink.